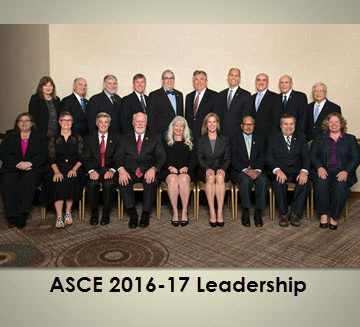 With diversity a key theme at the ASCE 2016 Convention in Portland, OR, it was fitting that the Board of Direction meeting, at the outset of Convention week, welcomed the most diverse Board in Society history. The Board’s fall meeting marked the final gathering of the outgoing 2016 members whose terms expire this year, and an unofficial first meeting of incoming 2017 Board members who were there to observe. When the new members were sworn in at the annual business meeting during the Convention, Friday, the Board will include six women, led by 2017 President Norma Jean Mattei, Ph.D., P.E., F.SEI, F.ASCE and President-Elect Kristina Swallow, P.E., ENV SP, F.ASCE. 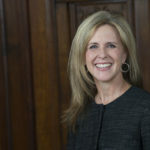 The outgoing 2016 members completed their terms with a busy meeting, including votes to approve a new policy on unmanned aircraft systems and new approaches for the Raise the Bar initiative. 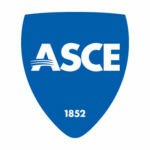 The Board also received reports on the forthcoming Dream Big film, the new online platform for ASCE 7-16 on Minimum Design Loads for Buildings and Other Structures, and plans for the first-ever ASCE Technical Congress, among other business. 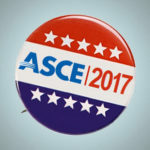 Based on reports to the Board, 2017 is shaping up as an exciting one for ASCE. The recently appointed Raise the Bar Review Task Committee presented its recommendations as the Society continues to identify ways to achieve its commitment to increasing the educational requirements of future civil engineers for entry into professional practice. A greater breadth and depth of education in a more complex future will allow future civil engineers to better advance the public health, safety, and welfare. • Consider differing educational requirements for engineers in different civil disciplines. For example, should structural, geotechnical, and environmental engineers have the same educational requirements as engineers involved in land development? Good luck through your presidential term!